Click to view short video. 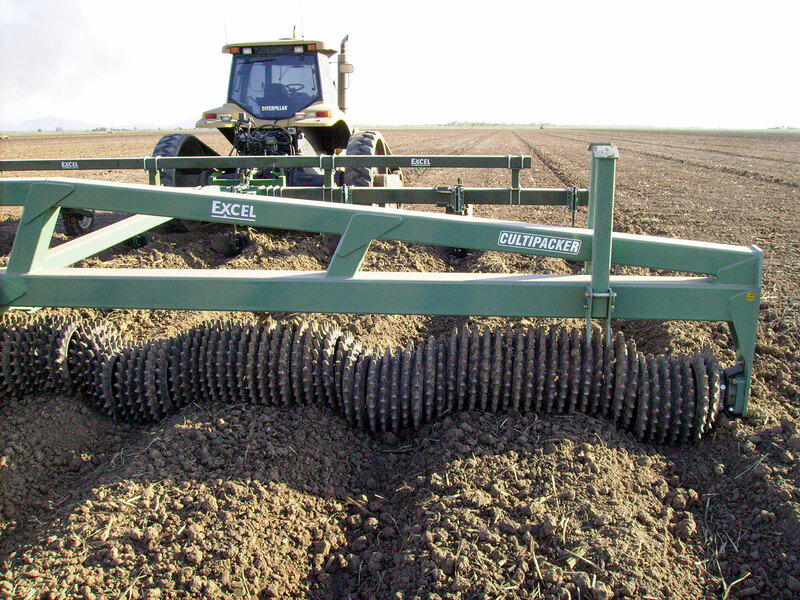 Excel Agriculture’s Cultipacker reduces the amount of water required to pre-irrigate as the soil is finer resulting in a more even moisture profile which means better seed germination. 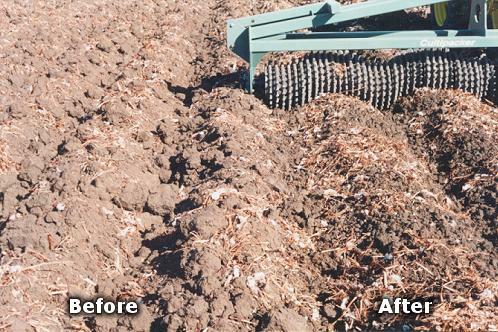 Accelerates the breakdown of large clods in the field which promotes soil flow and therefore trash incorporation. 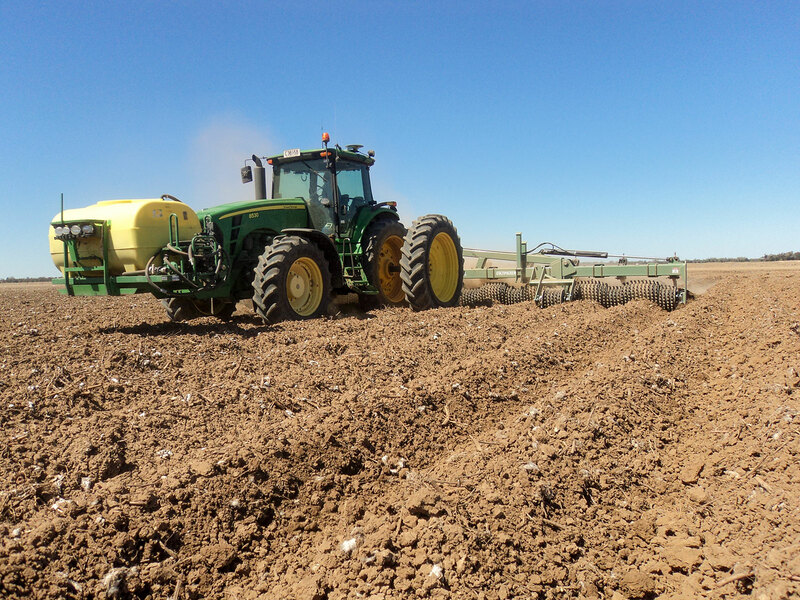 Reduces the amount of water required to pre-irrigate as the soil is a lot finer resulting in a more even moisture profile and better seed germination. 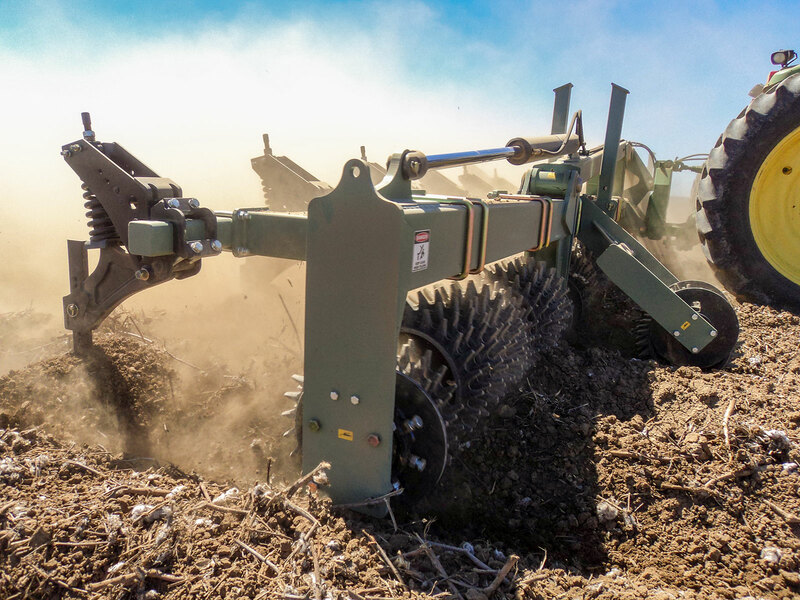 3-Point linkage on both sides of the implement allows the machine to be pulled one way for aggressive clod busting and the other way for refining the soil before planting, or rolling the soil after planting. 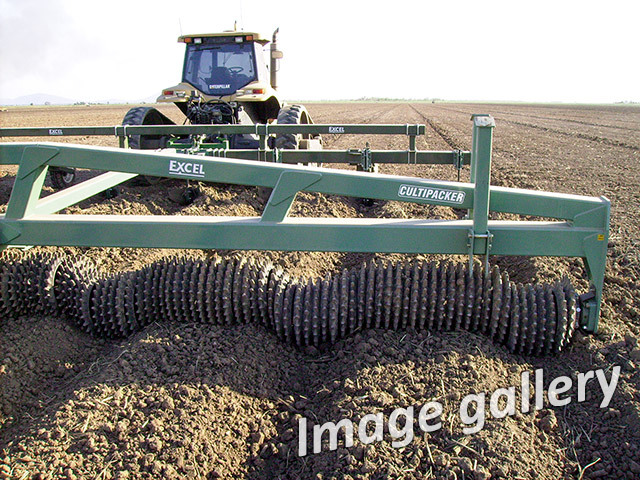 Follows the contour of the soil in bed and hill configuration. Can be used for chemical incorporation. 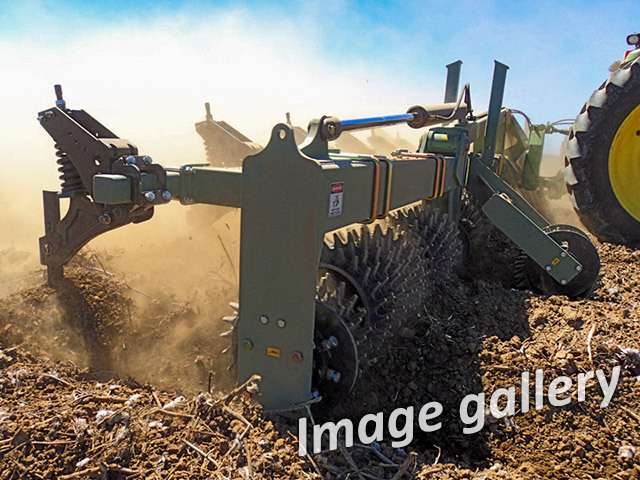 Heavy duty 80mm agricultural sealed self-aligning bearings used throughout the machine, with the cultipacker rings running on 9mm wall bore-casing. 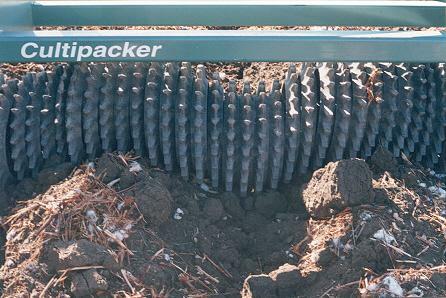 Excel Agriculture's Cultipacker is available in sizes from 4 metres to 12 metres. 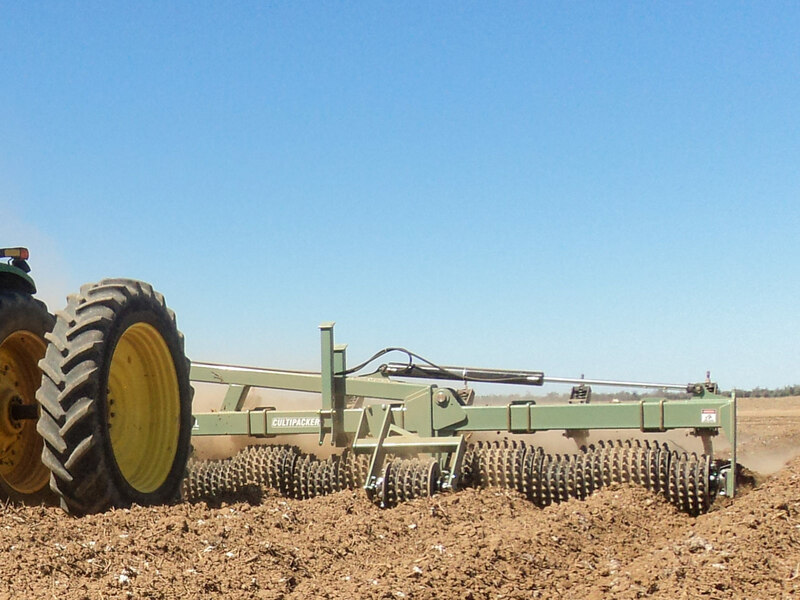 Standard with 14" (17.4kg) heavy duty nickel rings are available giving better soil refinement and more ground following ability. Centre trailing section giving complete coverage along the full length of the machine. 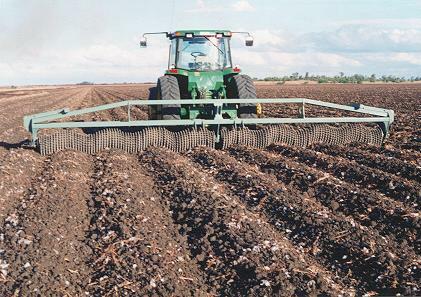 All Excel Agricultural products have 12 months warranty, backed up by our superior on-farm service. Contact us at Excel to discuss your Cultipacker requirements.